LaStellina ArteContemporanea is pleased to announce the exhibition “Deus ex machina” (setting up) by Pablo Mesa Capella (Málaga , 1982). Interjecting on the space of the gallery with an interactive sculpture, the Spanish young artist examines the capacity of the religions to answer the demands of the contemporary people through a reflection on their symbols. The Cross and the half-moon – Christianity and Islam – are presented here as two blocks of iron fixed on top of the same basis. The rust is formed day after day on the surface of the sculpture and only the intervention of the public can stop its degradation. A metaphor for the corrosion of values ​​which over the years has worked on our lives, calling into question the man’s dialogue with religion and spirituality. If, as in Greek theater, one expects the intervention of a deus ex machina to resolve the situation, the work shown here reverses the expectation, and we are in the presence of a passive artifact scenic, that is no longer able to surprise. It will be the same visitor to take care of development of the sculpture , giving again to the symbols their evocative nature. “Deus ex machina” (setting up) is a work that invites participation and dialogue through interaction with visitors, called personally to operate a small but symbolic change. Pablo Mesa Capella was born in Málaga (Spain) in 1982. After a degree in Directing and Drama first, and in Audiovisual Communication then, he directs shows and artistic performances curating also the set design. These early years shaped his aesthetics conception on visual art and installations, earning several awards in the MálagaCrea competition. Since 2010 lives and works in Rome, where he continues his artistic research. In 2012 he exhibited at the Festival of Contemporary Art Seminaria Sogninterra (Maranola, Formia) and MarteLive at the Forte Portuense (Rome). The same year he participated to the project Spam! Artists’s postcards at Pastificio Lab (Pastificio Cerere, Rome). In June 2013 the project Cartes de visite. Sensitive material at the Pastificio Cerere in Rome, curated by sguardo contemporaneo (18.06 - 19.07.2013), earned him the attention of the public and the press. ArtGallery Prize finalist (2013, Milan), his works will be on display within the collective Wunderkammer at the Academy of Belgium in Rome (curated by Antonio Nardone in collaboration with EMMEOTTO and Paola Cardano Arte Contemporanea (November 2013). His installations starts from theatrical experience to develop through visual arts an emotional and synaesthetic involvement of the public, in all its nuances and complexity. Stella Bottai is art critic and curator. Educated in Italy, France and Finland, she achieved her PhD in Contemporary Art at La Sapienza University of Rome. 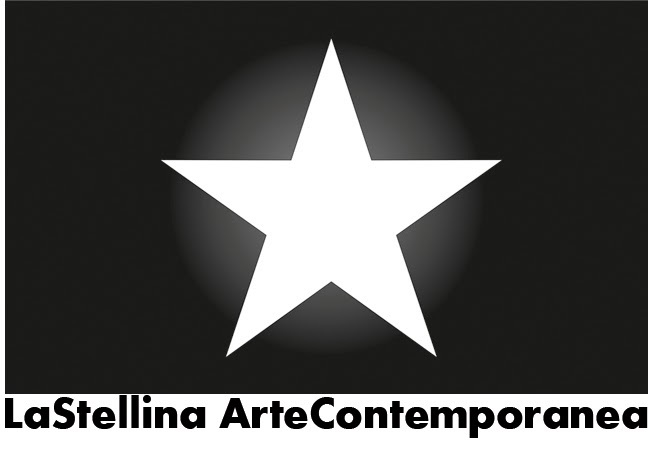 In charge of the Visual Art section of the website Cultfinlandia.it, she recently curated the Italian première of the video La vie en rose by Spanish artist Cristina Nuñez, Galleria Effearte (2013, Milan) and co-curated the multimedia exhibition Art Women, Centro Trevi (2012-2013, Bolzano). Interested in art history and multimedia applications, she was jury member at the Prix Mobius Nordica, art and new technologies festival in Northern Europe. “Deus ex machina” (setting up). Installation, interactive sculpture.